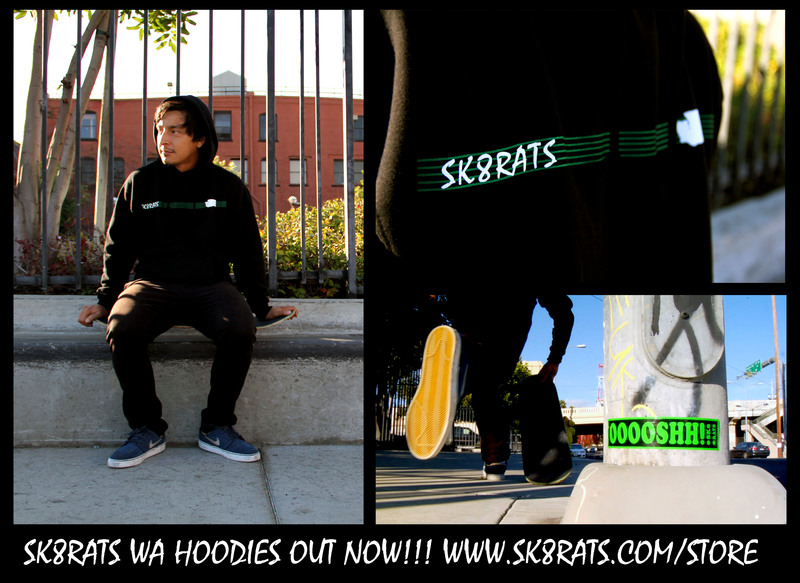 Pump Masta Ray Maldonado holding it down with one of the new SK8RATS WA Hoodies! Gotta snag one and stay warm for the Winter! Check out the online store below! And you gotta peep game on Dream Sick! You can download their album for free!